Yakʼéi haat yee.ádi, ldakát yeewháan. Yá daakeit áwé, ldakát uháan yís áyá. Áwé, x̲ʼatulitseen haa léelkʼu has yoo x̲ʼatángi. Haa jiyís áyá wdudliyéx̲. Aaa. Haa Tlagu K̲wáanxʼi Yan, Haa Yoo X̲ʼatángi, k̲a Haa K̲usteeyí, haa jeet has awatée. Has du latseení dáx̲ áwé. Aaa, haa yoo x̲ʼatáng haa at.óowux̲ sitee. Haa x̲ʼaséigu tsu. Líl k̲ut kei eeg̲íx’jik̲! Haa hóochʼi dzaas yáx̲ áyá. Haa toowú s akaawas’ít. Aaa. Yee gu.aa yáx̲ xʼwán. Gaawt kawdixít. Yee gu.aa yáx̲ xʼwán. Yeedát áyá woosh jigax̲toonéiyi eetéenáx̲ haa yatée k̲únáx̲. Yee gu.aa yáx̲ xʼwán. Haa léelkʼw has x̲á haa x̲ʼéit has wusi.áx̲ yeedát. Yee gu.aa yáx̲ xʼwán. G̲unéi ax̲ tu.aadí, haa shagóon has du tundatáani x̲oo. Our Tlingit identity is born through our language, inherited through our mothers. In our traditional way of life, we know one another. We know the lineage of one another and what that means to us and to our clans and families. This is a difficult world. In Lingít we might say «yatʼéexʼi át áyá yá k̲usti» (this life is hard, frozen). As a people, we are faced with linguistic extinction. As a world, we are faced with choices of what to let go of, often by doing nothing about it. Language revitalization is at the heart of this blog. 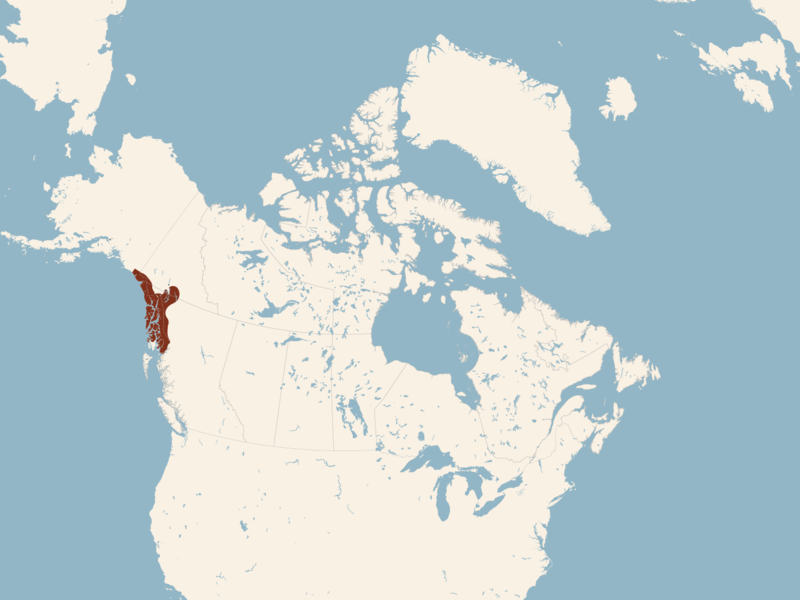 The sources here are dedicated to the speakers, teachers, and students of the Tlingit language. We would have nothing if not for our Ancient Ones, for those who have immediately preceded us in our work and discoveries, and for those who will come after us (Haa eetí k̲áa). As you encounter this information, this site, the users that are here, always remember that respect is the first thing we have, the last thing we have, the greatest thing we have. As students working in this language, remember to hold on to one another. Remember that you never have to quit; there are resources here, and that means more than just books and discussions. We are all climbing into this journey together. Regardless of who we are or where we come from, if we are human beings with compassion then we will never let our language die. The learning curve is steep and there is so much to the language, but that means we have a chance to take a look at the way our ancestors truly saw the world around them. They had hard lives as well. That is why they bathed for strength, they lived in concert with land and animals, they respected and spoke to all things. In your journey with the language you will uncover many things about yourself, your role in the world, and what you now must do. We are united in our efforts to change the shift we are facing. We are pressing our hands against a glacier, and waiting for what it will reveal. Gunalchéesh áwé, k̲únáx̲. Sh tóog̲aa x̲aaditee, ldakát yeewháan. For more information, email X̱ʼunei.